Today has undoubtedly been a momentous one for Amazon. 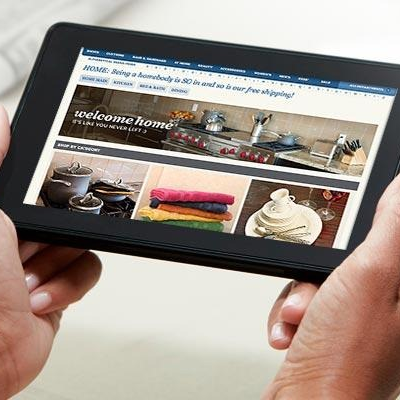 We've seen the introduction of a new family of Kindle products including the new Kindle Fire and a pair of Kindle Fire HD tablets. Following today's announcements, Amazon decided to take some time to introduce a few awesome new features those who buy from the Kindle line can expect to enjoy from their new Amazon-branded tablets. In this post, we'll take a brief look at the bevy of new features, starting with X-Ray for Movies. 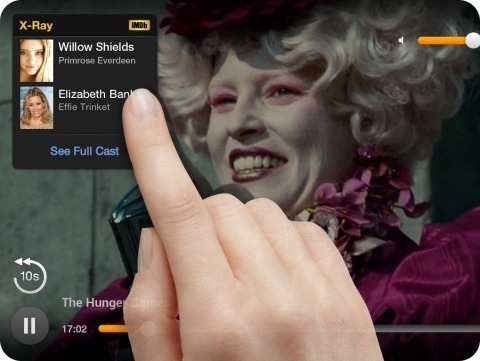 X-Ray for Movies, powered by IMDB is a feature that's being introduced exclusively with the Amazon Kindle family, and looks to "revolutionize the movie experience" by providing an answer the question "Who's that guy?" in a single tap while watching a movie. Drawing information from IMDB's vast database of movie knowledge, X-Ray allows users to find out the name of an actor, along with a list of other movies he or she has acted in, photos, biographies, and other tidbits. Once you find an actor's other movies, you can add them to your Watch list with just one more tap. Of course X-Ray's functionality, as an exclusive to Amazon, is only compatible with the Amazon ecosystem. That being said, X-Ray is definitely an awesome feature for movie lovers, and adds a new dimension of convenience to both watching and discovering new films. For more information, just check out the PR linked below. Next up is Kindle Serials, another awesome feature introduced today, this time aimed at letting readers stay up to date with – and participate in – the writing process of serial publications. Serialized content, whether it’s a TV show, movie trilogy or written work, is a great and much-loved form of entertainment – it leaves viewers and readers wanting more, eagerly anticipating the fates of their favorite characters. With Kindle Serials, we’re bringing episodic books to readers in a unique way that’s seamless and hassle-free, with new episodes being added to the book as they’re published. And readers can discuss the stories on Amazon discussion boards as they’re being written – like virtual water cooler conversations – perhaps even influencing where the next episode may go. As with Kindle Singles, we’re aiming to open up new ways for authors to write and customers to enjoy great writing – we think people are going to love this format. To pick up a Kindle Serial, just head to www.amazon.com/kindleserials. For more information about Serials, just hit the PR link below. Amazon also announced today a new partnership with Audible to bring Immersion Reading and Whispersync for Voice to Kindle. Whispersync for Voice, as you may imagine, improves upon Amazon's existing Whispersync technology (which keeps track of your place in books, and – as of last year – video). This time around, Amazon has added audio functionality, meaning that users reading an enthralling book can switch to hearing a professionally-narrated audio copy, all without losing their place. This ingenious addition to Whispersync takes the technology one step further in truly unifying the book-consumption experience. Immersion reading, on the other hand, combines audio narration with reading, highlighting text progressively as users listen to professionally-narrated audio versions of whatever book they happen to be reading. At Amazon we are missionaries when it comes to inventing on behalf of authors and readers. We’re excited today to unveil our latest innovations that will help people read more and retain more of what they read. Reading and listening together has been shown to increase the motivation to read, and it can have meaningful impact on reading retention—Immersion Reading on the new Kindle Fire family sets a new standard for deep reading by engaging the eye and the ear simultaneously with beautifully narrated audiobooks. Anyone who wants more time to read, or never wants to put a great book down because it’s time to drive to work or exercise, will love Whispersync for Voice—it offers our customers the profound gift of more time to read. Of course, both of these features are only open to Kindle users, but they both add some serious functionality to Amazon's overall experience, and tick one more box in favor of the retailer's Android-powered offerings. Dolby Digital Plus, a technology debuted for the first time on Amazon's new Kindle Fire HD duo, is – according to Dolby – the culmination of "decades of scientific research and advanced engineering." The new audio technology promises not only to deliver a perfect compliment to the Fire HDs' displays, but to eliminate the trade-off between tablet convenience and audio quality. Kindle Fire HD owners can expect to enjoy crisp, clear dialogue, a more realistic, immersive surround sound experience, volume consistency, and "custom tuning by Dolby engineers." While we haven't yet given the new Kindle Fire family a full review, you can bet we'll let you know just how good Dolby Digital Plus actually is. Until then, check out the Dolby PR below for more info.